Psoriasis and Eczema are both chronic skin diseases that cause, red, scaly, and sometimes itchy patches on the skin. There is a difference between them and a qualified dermatologist, like Dr. Daniel Glass based on Harley Street in London, will usually be able to determine the cause based on subtle differences in the appearance of the symptoms. According to NHS UK, approximately, 2% of people in the UK suffer from psoriasis, which usually develops in individuals under 35 (although it can appear at any age). Psoriasis is a chronic condition however it usually goes through cycles of no or minimal symptoms followed by periods in which it is more severe. Psoriasis is an autoimmune condition that causes overproduction of skin cells. 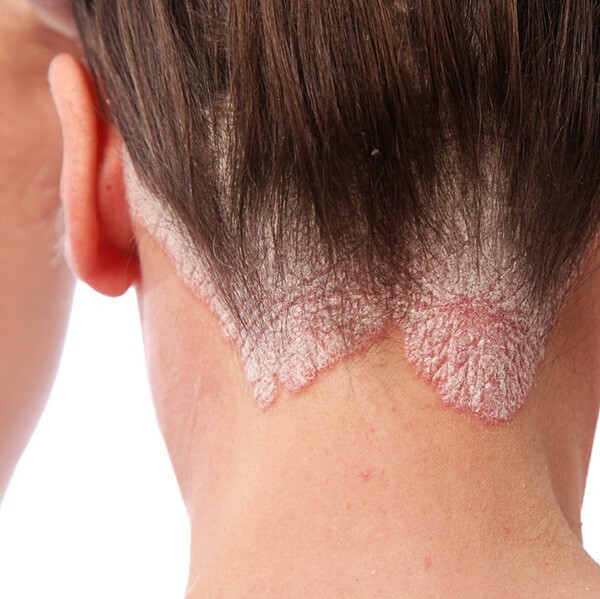 The excess, dead skin cells build up and create patches of red, flaky, skin covered by silver scales that become inflamed and often cause serious itching. The patches usually only cover a small area of the skin, typically on the scalp, elbows, knees or lower back. There is likely a genetic element to developing the disease, yet it is not contagious. While there is no cure for the condition, among our services are a number of options that Harley Street psoriasis expert Daniel Glass has for treating symptoms that can improve the symptoms and clear up the patches on the skin. The type of treatment that works will depend on the type and severity of the psoriasis and usually doctors will start with more mild treatments and move to more aggressive ones if those don’t work. Usually a topical treatment will be tried first which can include ointments or creams to be applied to the affected area that are made with vitamin D or topical corticosteroids. Eczema is also a chronic condition that causes skin to become red, itchy, dry and cracked and involves cycles with periods of no or few symptoms followed by “flare-ups” where symptoms are pronounced. The cause of eczema is not known, but it is correlated to people that have allergies or sensitivities or other conditions such as asthma or hay fever. Often times the symptoms are triggered by soaps or detergents, certain foods, weather conditions or even stress. Eczema mostly commonly affects the knees, elbows, neck, hands, cheeks and scalp. Like Psoriasis, there is no cure for eczema but often times the condition improves over time. Antihistamines: since many cases of eczema are related to allergies oral antihistamines can relieve symptoms but sometimes cause drowsiness. Moisturizers: regularly applying moisturizing cream for dry skin can often help. There are also prescription bases creams that are available for more severe cases. While some treatments can work for both psoriasis and eczema, many times that is not the case. Both of these skin conditions can cause significant discomfort and depending on where they appear, self-esteem issues like acne does. It’s important to see a dermatologist to assess the condition and determine the most effective treatment.